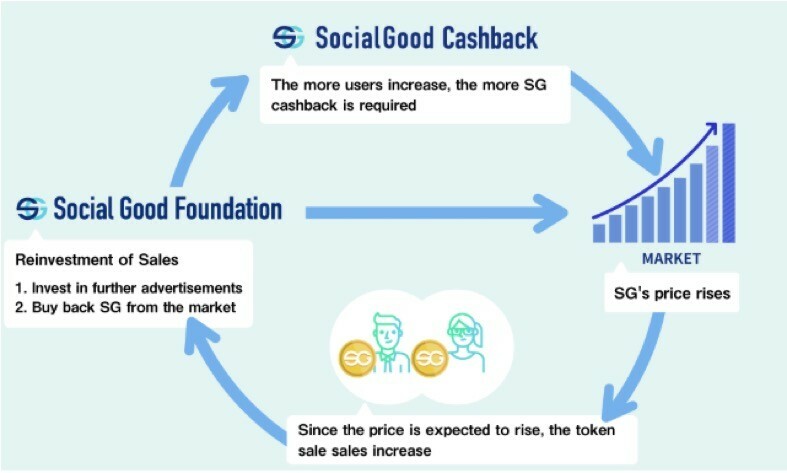 ]]> Uncategorized https://www.elastika.org/blog/socialgood-cashback-sets-up-new-business-model/ https://www.elastika.org/blog/socialgood-cashback-sets-up-new-business-model/ Editor Wed, 10 Apr 2019 10:57:40 -0400 Can You Count On Cryptocurrency For Retirement? I'm currently a student studying in Shanghai. As a tech enthusiast, I'm excited about the tech scene in China. Do contact me at chewweichun94@gmail.com for any working opportunities! Digital currencies such as Bitcoin and Ethereum are in the news headlines everyday. The properties that make these cryptocurrencies unique is their abilities to act as a store of value, and lightning quick transfer speeds, or at least with the introduction of the lightning network for Bitcoin, and Ethereum' Casper switch to pos and its smart contract capabilities allow cryptocurrencies to be more than just money. Now Masternodes coins are all the rage due to the added incentive it gives to owning a percentage of a certain currency. In order to understand what the Corda project is all about, let's dig deeper looking at what it entails, its benefits, and how it achieves the privacy it promises. If you are looking for nothing but the best cryptocurrency and blockchain related articles, simply consider HIRING ME. Many people believe that cryptocurrency is the next frontier in the FinTech world. Launching an ICO can be a great mark of success for blockchain platforms. However, it also needs to overcome major hurdles that currently fragment the industry. Success requires much more than just a strong product or an excellent ICO whitepaper. Are ICO Campaigns Appropriate For Every Business Type Or Niche? ICO campaigns may prove to be successful for some business or futile for some. A number of startup owners think that ICO is a great means to acquire funding for any project. It allows for raising funds quickly plus avoiding the expensive procedure of registering an IPO with the authoritarian agencies. For businesses to thrive in the cryptocurrency industry, the major requirement is generating worth for the users and investors. Authenticity and transparency are amongst the foundation pillars of the ICO and cryptocurrency arena. What Should You Emphasize On Before Launching An ICO? The practice of many ICO campaigns shows the protection of investors, the goal interests and topics which suits the audience's interests. The business owner has to be strong-minded and should openly express his objectives and long-term goals to the audience prior to successfully launching the ICO. From investor's point of view, a professional team working on the project is one of the most important factors when you are contributing to an Initial Coin Offering. It is essential to have a list of all the core team members with their faces plus social media profiles so that any valuable contributor can actually see the brains behind the project. However, at the same time, you may look for professionals in the industry and get them aboard as project advisors. Good timing and communication are the necessary features of ICO. It may be influential to launch your Crowdsale campaign as soon as possible. In many cases, ICOs are restricted in time so timing plays a vital role. The most important things to cover are the goals, investor's terms and the team. One more important feature of the Crowdsale campaign is PR. Ensure to stay on talking terms with your audience both previously and throughout the ICO campaign. What Should Not Be The Ideal Practice While Running An ICO? When dealing with other person's money you need to make sure that you are not breaching any laws every step of the way. Thus, it is highly recommended to hire the services of a lawyer while organizing an ICO campaign. Breaking the law is just like losing the people's expectations. That's why it makes sense updating participants on the growth of your project. Also, keeping in touch with the contributors is one of the most important things you can do for the Crowdsale campaign. Preparing for an Initial Coin Offering involved a solid vision so it's crucial for you to think about how you can reshape the future economy through the project's cryptocurrency. It is fundamental to align the short-term goals by giving a positive trading experience that maximizes the trader's profit. Indeed, the above-mentioned questions would definitely be eye-opening before you launch an ICO. The knowledge of these important aspects and steps would solve all your queries as to how to launch an Initial Coin Offering effectively. ICO is an exciting funding mechanism and we wish you all the very best. ]]> Uncategorized https://www.elastika.org/blog/how-to-launch-an-initial-coin-offering-some-questions-to-ask-yourself/ https://www.elastika.org/blog/how-to-launch-an-initial-coin-offering-some-questions-to-ask-yourself/ Editor Tue, 05 Jun 2018 02:56:19 -0400 Top Cryptocurrencies for 2018: What Are the Best Bitcoin Alternatives? Innovation such as developments in blockchain can be a difficult factor to evaluate, especially for non-technical users. However, if a currency code is stagnated or does not receive updates that deal with important issues, it can be a sign that developers are weak about ideas or motivations. ]]> Uncategorized https://www.elastika.org/blog/cryptocurrency-the-fintech-disruptor/ https://www.elastika.org/blog/cryptocurrency-the-fintech-disruptor/ Editor Tue, 01 May 2018 02:29:23 -0400 Are You Planning to Set Up Your Own Cryptocurrency Exchange Platform? This year we can observe that cryptocurrencies tend to move up and down even by 15% of value on a daily basis. Such changes of price are known as a volatility. But what if... this is totally normal and sudden changes are one of the characteristics of the cryptocurrencies allowing you to make a good profits? First of all, the cryptocurrencies made it to the mainstream very recently, therefore all the news regarding them and rumors are "hot". After each statement of government officials about possibly regulating or banning the cryptocurrency market we observe huge price movements. Secondly the nature of cryptocurrencies is more like a "store of value" (like gold had been in the past) - many investors consider these as backup investment option to stocks, physical assets like gold and fiat (traditional) currencies. The speed of transfer has as well an influence upon volatility of the cryptocurrency. With the fastest ones, the transfer takes even just couple of seconds (up to a minute), what makes them excellent asset for short term trading, if currently there is no good trend on other types of assets. What everyone should bear in mind - that speed goes as well for the lifespan trends on crypto currencies. While on regular markets trends might last months or even years - here it takes place within even days or hours. This leads us to the next point - although we are speaking about a market worth hundreds of billions of US dollars, it is still very small amount in comparison with daily trading volume comparing to traditional currency market or stocks. Therefore a single investor making 100 million transaction on stock market will not cause huge price change, but on scale of crypto currency market this is a significant and noticeable transaction. But answering the question from the first paragraph - one of the classic rules of trading is to buy cheap, sell high - therefore having short but strong trends each day (instead of way weaker ones lasting weeks or months like on stocks) gives much more chances to make a decent profit if used properly. https://xprocrypto.com/ - buy and sell cryptocurrencies with the lowest fee on the market now! Never thought about it, right? It's time to think because in this post we are going to provide you a four-step guide on creating your own cryptocurrency. Read through the post, and then see whether you can do it for yourself or not! No, you don't have to build a community like you do when you plan to rule social media. The game is a little different here. You need to find a community of people that you think would buy your currency. Remember, you are not here to be a part of the spectator sport - you are in it to win it. And, having a community of people who would want to invest in your currency is the best way to do it! The second important step is to code. You don't necessarily have to be a master coder to create your own cryptocurrency. There are plenty of open source codes available out there which you can use. You can even go ahead and hire professionals who can do the job for you. But when coding, do remember one thing - blatant copying is not going to lead you anywhere. This will give you a head start. And, as they say - well begun is half done; miners can eventually lay the foundation of a successfully voyage for your cryptocurrency in the ever growing competition. After all, there is no point in trying to market your stuff to people who don't even know what cryptocurrency is. It would be true to say that Bitcoin has enjoyed a real explosion as far as popularity goes when we are talking about cryptocurrency. This very popular cryptocurrency has hit among investors, traders and consumers and everyone is working to make a kill trading in Bitcoin. It has so much to offer as far as lower fees, transaction speed and increasing value which could be the reason why most people choose it for their trading. This is, however a turbulent market and to make it big you need to be a very smart trader when selling and buying it. With dedication and discipline, you can turn Bitcoin volatility in your favor. Here are simple but effective ways you can do just that. News items may not all have an impact this currency, but the truth is that there are some items that could greatly influence its price. By gaining access to Bitcoin related news and live news feed for typical news, you could end up catching something on time so you make decisions that will bring you good luck with your trading. It helps to always be up to date with Bitcoin news and other unexpected news that could have an impact on its performance. Whether you are just starting with your trading or you have been at it for a while, you need to be prepared for times when losses are inevitable. Nobody trades expecting to make a loss but the chances are always there hence the need to implement a reliable stop loss plan. The valuations fluctuate regularly and you need to be prepared for bad days. The market offers tools that you can automatically set to stop losses before they have severe impacts on your profits. Whether engaging in Bitcoin futures markets, CFD or cash, ensure that you use stop loss to keep open positions protected. This is very important before joining the trade. Considering that there is no governing body or bank to influence valuation of Bitcoin, you need to be your own judge in more ways than one. If you do not understand market fundamentals and you do not even know how to analyze price charts or read price actions and applying indicators you are doomed to make the wrong moves. Remember the price models are speculative largely making it important for you to know all technicalities that truly matter. Leverage has the ability to boost your gains or magnify your losses too. If you are too much with your leverage then you will tend to be a little reckless with managing your money and this blows out the trading account at the end. On the other hand being too careful with your leverage can hinder performance considering premium trades may not perform to full capabilities as expected. When it comes to Bitcoin trading, you need to do a balancing act to enjoy good returns. You can easily get the latest Bitcoin News to help you make all the right trading decisions in a timely manner. You cannot afford to miss out on the latest if at all you want to be a successful trader. The statistics could no longer be ignored. Most ICOs tank, and stay tanked, once the tokens get to the crypto exchanges, after the frenzy and 'FOMO' attending the crowdsale is over. Most watchers keeping track of the ICO phenomenon universally agree that the trend in the last few months has been for ICOs to lose value post-crowdsale, with many buyers waiting in vain for the 'moon' they were promised, once the cryptocurrency hits an exchange portal. While there are a lot of reasons one could legitimately proffer for the phenomenon, there is one fact that I think is probably more responsible for this than most other contending reasons: ICO token valuation and the misplaced emphasis on 'blockchain experts', 'ICO advisors' or 'technical whizkids' for erc20 tokens. I am of the strong opinion that is one of the major reasons why most ICOs never live up to their prelaunch hype. In an era where there is an abundance of token creation software, platforms and freelancer, the disproportionate focus on the blockchain experience or technical ability of the promoters is mostly misplaced. It's like trying to value the probable success of a company based on the ability of its staff to create a good website or app. That train left the station long ago with the proliferation of technical hands on freelancing sites like Guru; Upwork, freelancer and even Fiverr. Once one understands that over 90% of the cryptos and ICOs out there are simply tokens created to raise crowdfunds for an idea, and just not a token for token's sake, then peoples emphasis will shift from technical angles, to the more relevant work of evaluating the business idea itself, and corporate business plan. Of course, buying cryptocurrency is not buying stock, and it's not buying the security in any company. We get that, but tokens react much the same way as stocks react to good news or bad news about a company. The only difference is that in the case of cryptos, the effect is magnified a 100 fold. So, when a company meets some financial or business milestone, the price of its token on the exchange will go up... and it goes down fast when nothing good is happening. So, what the company will do and how it will do it after the ICO should of the utmost importance to anyone who does not want to see the value of his Tokens plummet and stay down forever. Sure, tokens most tokens would plummet once the tokens hit a crypto exchange after the ICO, because of those who want to take immediate profits, but whether it would ever come back up to give you the expected multiple digit profits will always depend on the criteria I already outlined above. After you have purchased a token, the value of the 'crypto advisor's and 'technical whizkids' go to zero in relation to the potential of your tokens to moon. In other words, allocate more points on the business and management side of the ICO rather than the technical jargons which won't help your token in the marketplace when the money has been raised! Fast forward to today, 5th February to be exact, authorities in China have just unveiled a new set of regulations to ban cryptocurrency. The Chinese government have already done so last year, but many have circumvented through foreign exchanges. It has now enlisted the almighty 'Great Firewall of China' to block access to foreign exchanges in a bid to stop its citizens from carrying out any cryptocurrency transactions. Many people have to use VPNs in China to bypass internet blocking. In layman's term, Bitcoin is categorized as a virtual commodity (e.g in-game credits,) that can be bought or sold in its original form and not to be exchanged with fiat currency. It cannot be defined as money- something that serves as a medium of exchange, a unit of accounting, and a store of value. A similar notice was issued on Jan 2017, again emphasizing that Bitcoin is a virtual commodity and not a currency. In September 2017, the boom of initial coin offerings (ICOs) led to the publishing of a separate notice titled "Notice on Preventing Financial Risk of Issued Tokens". Soon after, ICOs were banned and Chinese exchanges were investigated and eventually closed. (Hindsight is 20/20, they have made the right decision to ban ICOs and stop senseless gambling). Another blow was dealt to China's cryptocurrency community in January 2018 when mining operations faced serious crackdowns, citing excessive electricity consumption. Major blockchain firms such as NEO, QTUM and VeChain are getting huge attention in the country. Startups like Nebulas, High Performance Blockchain (HPB) and Bibox are also gaining a fair amount of traction. Even giants such as Alibaba and Tencent are also exploring the capabilities of blockchain to enhance their platform. The list goes on and on but you get me; it's going to be HUGGEE! In China's 13th Five-Year Plan (2016-2020), it called for the development of promising technologies including blockchain and artificial intelligence. It also plans to strengthen research on the application of fintech in regulation, cloud computing and big data. Even the People's Bank of China is also testing a prototype blockchain-based digital currency; however, with it likely to be a centralized digital currency slapped with some encryption technology, its adoption by the Chinese citizens remains to be seen. A recent report titled " China Blockchain Development Report 2018" (English version in the link) by China Blockchain Research Center detailed the development of the blockchain industry in China in 2017 including the various measures taken to regulate cryptocurrency in the mainland. In a separate section, the report highlighted the optimistic outlook of the blockchain industry and the massive attention it has received from VCs and the Chinese government in 2017. I'm currently a student studying in Shanghai. As a tech enthusiast, I am excited about the tech scene in China. Email me at chewweichun94@gmail.com for working opportunities! Cryptocurrency is just a part of the process of a virtual database running in the virtual world. The identity of the real person here cannot be determined. Also, there is no centralized authority which governs the trading of cryptocurrency. This currency is equivalent to hard gold preserved by people and the value of which is supposed to be getting increased by leaps and bounds. The electronic system set by Satoshi is a decentralized one where only the miners have the right to make changes by confirming the transactions initiated. They are the only human touch providers in the system. Cryptocurrency has undoubtedly been a revolutionary concept which sees a booming growth in years to come. At the same time, the concept is a little bit ambiguous and new to most of the people. In order to understand how this whole thing works, we bring to you cryptocurrency news. This will update you further on every type of cryptocurrencies prevailing in the market including the Bitcoin news. Go ahead and enlighten yourself a bit more as to what this whole concept is and how it can benefit you. Cryptocurrency market has become very popular and every trader is looking to make it big with bitcoin trading. It is however a very volatile market that can be hard to keep up with, especially considering that this is a market that never sleeps unlike the stock market. To make things easier for traders, trading bots have been developed. A trading bot can be defined as software program which is designed to interact with financial exchanges directly so relevant information is obtained and interpreted so orders can be bought and sold on the traders' behalf. A bitcoin trading bot can take the guesswork out of the trading. There are so many bots readily available and your work should be to choose the best bitcoin trading bot to enjoy a pleasant trading experience. Most of the projects aim at offering community assistance. The projects are aimed to aid different people who don't have adequate financial resources. These are businesses that struggle a lot so as to be able to compete with the main players in the field. The big companies are willing to send as much as they can in things such as advertisements and so on. This means that they can reach a larger audience. For small businesses, they have limited resources and this means that they struggle to achieve any kind of growth that they may desire. Sustaining a field becomes difficult for smaller businesses. This is what the 3D platforms were created. The 3D blockchain aids business owners who aren't tech savvy and those that don't know too much regarding computer science or even information technology. This makes it very efficient to have the 3D platform that helps them reach a large population of their customers. The main benefit to the business is the fact that they don't need to take too much time as they write projects. There are very few steps that can be followed so as to choose the right template for projects. You can publish and manage your business in no time at all. Districts is a 3D blockchain application platform that offers great features. Districts is a community platform and this means that the changes that are made within are predetermined by the Voice Power of the community. The 3D features facilitate easy communication and sharing of ideas.